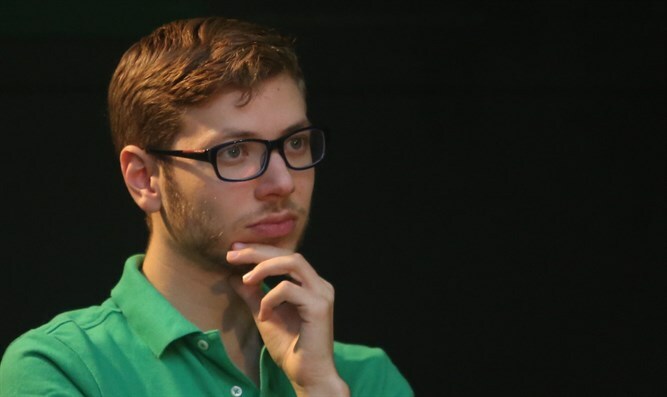 Yair Netanyahu, prime minister's son, testified in connection with investigation of PM on suspicion of receiving benefits from businessmen. Yair Netanyahu, the prime minister's son, testified Tuesday afternoon to police in connection with the investigation of his father on suspicion of receiving benefits from businessmen. Netanyahu's son gave his testimony regarding the "1000 Affair" at the Lahav 433 unit headquarters in Lod. This morning the editor of the Israel Hayom newspaper, Amos Regev, came to testify to police regarding the connection between Prime Minister Binyamin Netanyahu and rival newspaper Yediot Aharonot's publisher Arnon(Noni) Mozes. Police Commissioner Roni Alshikh referred today to the investigation against Netanyahu and estimated that "the investigation will not take a long time. We are working as fast as we can and nobody is disturbing us." On Monday Channel 2 released further tapes of conversations which took place between the prime minister and Mozes prior to the 2015 elections. They were supposed to be kept from the public at this time. The conversations discussed the possible limiting of the circulation of Israel Hayom as part of a deal planned between the two of them, which it seems did not take place. Mozes: We need to state the number (of copies of Israel Hayom)...not two thirds. Netanyahu: The number has to be explained. Not to totally remove, not to remove three thirds, to remove two thirds. Mozes: When we spoke of numbers it was 275,000 copies and now it is 325,000 copies. You understand that as time goes by it creates a problem?..We are back to a situation where we are putting things off and they are more difficult to solve. I'm trying to think, on Fridays it is 400,000 copies, I'm trying to work out a formula of how many announcement pages are involved. Netanyahu: What, can you limit the amount of announcement pages he puts out? Mozes: Is there a problem? What's the problem? 30,50, even 70 percent of the advertisements are state-funded announcements. This is not right. I'm saying this to you as an aside but we cant do everything together. Netanyahu: Ok, I wrote this down as well. We won't deal with it now. Mozes: I will state numbers of copies and percentage of capacity. "Capacity" is a media term. In a free newspaper beyond a certain level of copies the amount of announcements cannot be high and then the damage caused by a drop in prices is negligible. We are trying together to find something. Mozes: We're trying to find something together.